Zimbabwe has formally applied to rejoin the Commonwealth of Nations, 15 years after it left the organization. President Emmerson Mnangagwa issued the proposal this month in a letter to Commonwealth Secretary-General Patricia Scotland, who said she was "delighted" to receive the application. "I wholeheartedly echo the sentiments of Heads of Government who have said twice ... that they very much look forward to Zimbabwe's return when the conditions are right," Scotland said in a statement. "Zimbabwe's eventual return to the Commonwealth, following a successful membership application, would be a momentous occasion." To rejoin the alliance of 53 member states, Zimbabwe must show compliance with "fundamental values set out in the Commonwealth Charter" -- including democracy, the rule of law and human rights protections like free expression. "Fantastic news that Zimbabwe wishes to rejoin the Commonwealth," British Foreign Secretary Boris Johnson tweeted. "Zimbabwe must now show commitment to Commonwealth values of democracy and human rights." Zimbabwe originally joined the Commonwealth in 1980, and withdrew in 2003 -- after concerns about politically-motivated violence and alleged vote rigging led the group to suspend the country's membership. 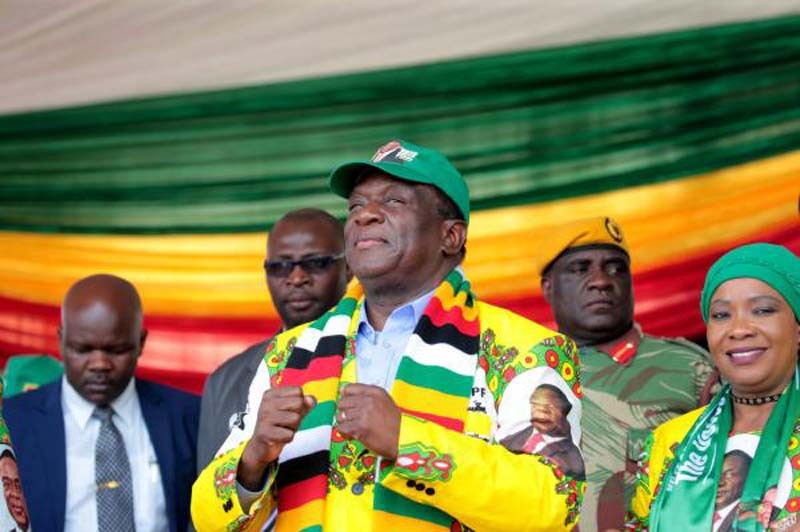 Mnangagwa has vowed to hold fair and free elections, and pledged to revive the economy. The Commonwealth is a grouping mostly of present and former British territories and includes Australia, Britain and India. It is often called the British Commonwealth. If re-accepted, Zimbabwe would become the fifth nation to rejoin. The last admittance was Rwanda in 2009.